CDC (Case Development Centre) was established at NITIE in 2014. CDC endeavor is to meet the growing demand for customized industrial engineering and management teaching cases. By working closely with academia and industry, CDC aims to play a key role in bringing first-hand knowledge of business practices to industrial engineering and management education and communicating theory to business practitioners. training and other outreach activities into case studies. and summer projects into case studies. To organize annual case teaching, case writing, and video making workshops to facilitate capacity building for case writing and case based teaching method. To work closely with companies for facilitating case writing for NITIE faculty. To explore mutually beneficial partnership with other Case Development Centres viz. 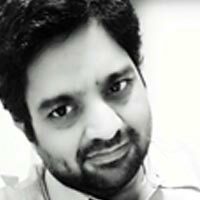 Case Research Society of India (CRSI), ISB, Harvard, Ivey, Asian Case Research Centre (ACRC), NACRA, Darden Case Clearing House, LUMS etc. CDC would also organize case competition with any one or more centres. To facilitate case writing by NITIE faculty members. works as an Associate Professor at National Institute of Industrial Engineering (NITIE), Mumbai. He teaches Business Communication, Ethical Aspects of Business, and Organizational Behavior. His broad areas of research include Human Communication, Indian Culture, and Srimad Bhagavad Gita. He has taken the charge of the centre on 23rd February, 2018. 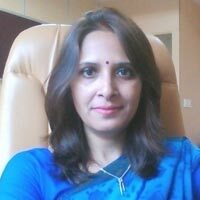 Associate Professor of Marketing at NITIE Mumbai. 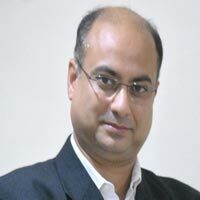 He has authored two Books (Pearson and PHI) besides publications in international journals l. A prolific case writer and teacher, he has published case studies in Asian Case Research Journal, Ivey Publishing, The Case Centre, Emerald Emerging Markets Case Studies and IIM Ahmedabad Case Unit. He received ‘The Best Teacher’ award by NITIE Mumbai; ‘AIMS-IRMA Outstanding Management Researcher Award’ by AIMS international and ‘Young Management Researcher’ award by Higher Education Forum (HEF). His research and teaching interests are Pricing, Digital Marketing, B2B Marketing and Services Marketing. 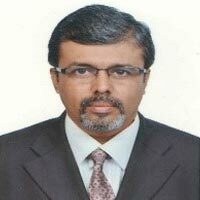 He has done his Fellow Programme in Management (FPM) (doctoral level degree) in the functional specialization of Strategic Management from Management Development Institute (MDI) Gurgaon, India. 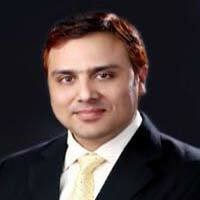 He has published teaching cases and research papers in international journals of repute. He has for his research been awarded with Emerald Literati Awards for Excellence: Outstanding Paper Award – 2011 and Emerald Literati Awards for Excellence: Highly Commended Paper Award – 2014. He teaches courses on Strategic Management, International Business Strategy and Mergers and Acquisition. For his teaching he has received various awards like NITIE best teacher award 2014 and Business School Award for Best Professor in Strategic Management in India in 2014. Her fellowship is on Employee Empowerment. She has conducted several training programmes on Leadership Development, Managerial Skills for Technical Personnel, Managerial Leadership and Team Building, for managers and executives. She has many articles and cases to her credit, which are written for international and national journals, Case clearing houses and conferences. Her research interests are competency mapping, cognitive dissonance, shared leadership, and organisational health. actively involved in different outreach activities such as training & consulting for the industry. He has more than forty publications in the International /National conferences including journal publications. He is also involved in different Sponsored Research Projects. His research interests are Project Management, Strategic Procurement, Business Process Reengineering, Industrial Engineering, Maintenance Management and Operations and Supply Chain Management. works as a Research Assistant in the Case Development Centre. 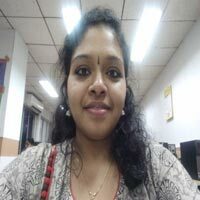 She has completed her M.Tech in Electronics Engineering from K.J.Somaiya College of Engineering. She had completed her B.E. in Electronics Engineering from Mumbai University.